Moving is notoriously thought of as expensive. The further you move, the more expensive it’ll be. While that’s certainly true to some extent, you don’t have to give up your dreams of moving because you’re afraid you can’t afford it. While it costs an average of $1,170 to move within your state in the United States, that doesn’t mean this is always the case. In fact, there are a lot of tricks for saving big on your move. Whether you’re making a move to live in a cheaper area, be closer to family, or to land that dream job, don’t let your bank account hold you back. 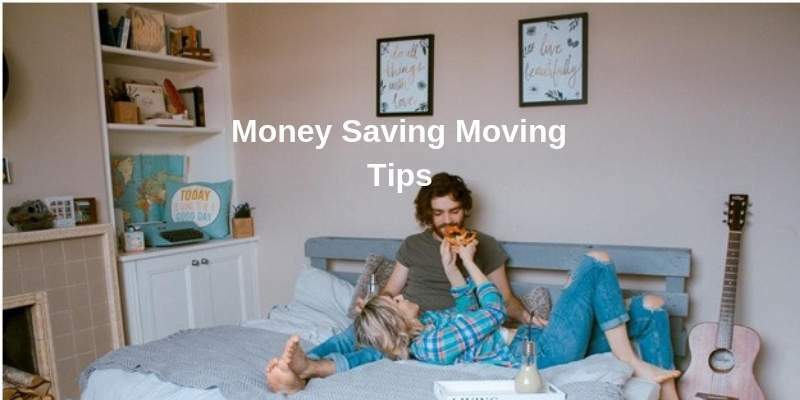 Read this guide to learn the best money saving moving tips to save big cash on your next move. While most people assume it’s cheapest to do your move yourself, this is usually not the case. First of all, moving your own things takes infinitely more time. You’ll also need to buy your own tools, packing supplies, and more. More importantly, you’ll probably break more along the way. If you’re on a bare-bones budget, then it’s a good idea to move everything yourself. However, if you can swing it, consider hiring a moving service to take care of the bigger stuff. In the long run, you’ll likely save money on tools, supplies, and broken belongings. One thing most people waste money on is moving their car themselves. If you’re making a long-distance move, your car will face a lot of damage and mileage if you have to move it yourself. It also might not be practical if you plan to fly or drive a moving truck. Check a car shipping calculator to see if this is a more affordable, safe option (source: https://executiveautoshippers.com/contact/car-shipping-calculator/). Did you know the day you choose to move could also affect the cost? It’s true. Moving on a random weekday will almost always cost less than moving on the weekends. This math is simple. When demand is high, prices go up. When demand is down, prices are lower. Most people move on the weekends, so always move on a weekday if you can. Sure, you can buy a boatload of boxes to move your stuff, or you can get creative. You probably have some natural storage bins already that are hiding in plain sight. Things like suitcases, coolers, laundry hampers and other baskets are great for holding your belongings. Need some extra security? Try wrapping your things in spare towels and linens. You’ll pad breakables and make sure everything makes it to your destination safely. This cuts down on waste and extra spending. Do you have too much stuff to move? Consider selling things that have good value. This way you’ll get some extra cash to put towards your move and you won’t have to deal with hauling them around. When it comes to selling, most movers opt for a yard sale. However, this is no longer the best option. Most buyers are now looking online in places like Nextdoor and Facebook Marketplace. Your bookshelf might be worth a pretty penny! Finally, don’t fall victim to eating out while moving. It’s tempting to eat out for weeks (or even months) while you’re preparing for your move and settling into your new space. This is certainly a costly expense. Instead, meal prep. Because your kitchen isn’t fully stocked, you’ll be likely to eat out or just eat junk. Meal prepping will take some time in advance, but it’ll make sure you’re eating right during your move. Putting your prepped meals in the freezer will ensure they last a while, and you don’t have to worry about cooking every meal while you’re dealing with your move. Are you ready to save big on your next move? Don’t believe the stigma that moving is always expensive. A little bit of planning will go a long way. Soon, you’ll be settled into your new home and you’ll be glad for the extra savings.